Kavanaugh – Is It A Case Of Winning SCOTUS, Losing The Midterms? With two compelling testimonies finished, the time for voting is at hand. Whereas US President Donald Trump once again confirmed his support for Judge Kavanaugh, many online voices are starting to wonder whether the riling up of Democrats for the Midterms will not be the price to pay to confirm an evangelical SCOTUS. According to political onlookers in Europe, the Democratic party is applying the 'witch hunt' strategy in reverse. The so-called ‘witch hunt’ strategy is the combination of having Fox news pundits and Mr. Rudi Giuliani repeat that Mr. Mueller’s investigation into Russian election meddling is a ‘witch hunt’ so many time until more than 50% of the people believe it to be true, at which point it becomes acceptable for the White House to put an end to it. 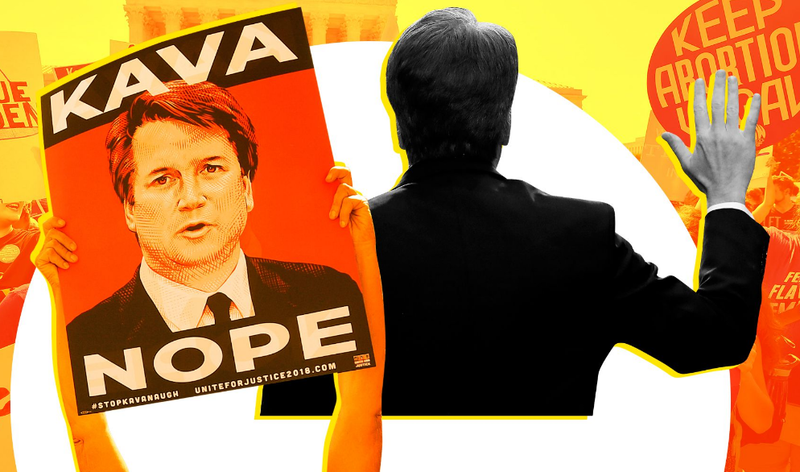 Related coverage: <a href="http://thegoldwater.com/news/38105-Kavanaugh-Hearings-D-Day-What-s-at-Stake-What-Are-The-Odds"> Kavanaugh Hearings D-Day - What's at Stake? What Are The Odds</a>. If you reverse that strategy, then all you need is 50% of people to believe that Judge Kavanaugh might have had something to do with the alleged sexual assault of Dr. Ford. If you get that, as a result, the pressure will be on the politicians to vote likewise or lose the popular support in 5 weeks, at the time of the midterms, because people will be angry. Here’s the sting: at this moment, it is estimated that less than 50% of millennials are riled up enough to go and vote at the Midterms (according to Vox, a liberal media site) meaning that the pundits estimate the Republicans will easily hold on to the Senate but might lose the House. However, confirm Judge Kavanaugh in the current climate, and the Democrats might find it easier to get youngsters irked enough to go out in November. In other words, you could win finally having another evangelical on the US Supreme Court (a once in a generation possibility), but might end up losing the Midterms in exchange. A House and Senate working against US President Donald Trump in his final two years in office would probably put an end to all those accomplishments which he touts, and thus the chess question becomes: are you willing to give up a valuable pawn to safeguard another? If confirmed, Judge Brett Kavanaugh, President Donald Trump's pick, will restore a conservative majority at the country's highest court probably for years to come. If not, the continued polarization of the country’s highest court reflecting the partisan divisions of society will continue and a next nominee will step up after the Midterms. Given the current term rules of SCOTUS, the differences are likely to stay. What do you think will happen? Let us know in the comments section below. 100% free speech, 100% anonymous. If Americans vote for Democrats in the approaching midterms after the spectacle today, then I hold out little hope for my beloved America. If The People cannot see through the Left's vile tactics and reject them, then we don't deserve this country. That's a fact. Or win both because the dems have destroyed their platform. Again. Where is the declas in all of this? Is a deal being worked out?